Argentum recently announced the first class of Senior Living Sales Counselor Certificate recipients, which includes six Belmont Village community relations associates. First introduced in 2017, the Senior Living Sales Counselor Certificate program is a member-led initiative of Argentum’s sales and marketing executive roundtable and is designed to help build knowledge and competencies of senior living sales professionals. The curriculum focuses on three fundamentals of sales including industry knowledge, marketing strategy, and the consultative sales process. To be awarded a certificate, an individual must successfully complete an online examination administered by a Live Online Proctor. Internet-based training modules have been developed by Argentum and are available for exam preparation. 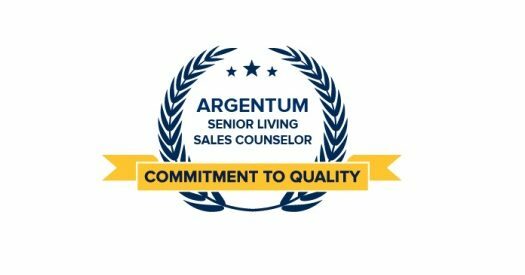 Click here to learn more about Argentum’s Senior Living Sales Counselor Certification.